If you’re interested in real estate investing, you’ve probably heard about real estate investment trusts, more commonly known as REITs. These investments are often held up as an easy way to profit from real estate, and are seen as a hassle-free option for people who are intimidated by the effort required to own and maintain a home. In reality, REITs may not offer the diversification investors look for when they supplement their stock market-based holdings with real estate purchases, and new methods of investing in single-family real estate removes a lot of the difficult elements traditionally associated with homeownership. When you purchase shares in a REIT, you gain percentage ownership in a portfolio of properties. You don’t manage the properties, and don’t own the title for any specific properties. 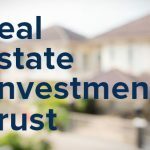 These trusts function like stocks for investors, and people who own shares of the REIT receive a percentage from any income the properties generate. REITs offer some clear benefits over other types of real estate investing, because you don’t need to research the individual properties, and have no obligation to worry about managing the properties or paying for repairs and overhead. That doesn’t make them a better investment, however. Because REITs are a pooled asset, investors are investing in a company, and their success is closely tied to managerial decisions made by the company executives and to the overall performance of the index where the REIT is listed. That represents the biggest problem with using REITs to diversify your portfolio. Because these shares are publicly traded on stock exchanges, they function more like mutual funds than property investments. They’re linked to market interest rates, and give no control to investors. While that’s a benefit for some investors, single-family rentals may be a better way to diversify assets. The biggest factor that separates SFR investing from buying REIT shares is ownership of a physical asset. When you purchase a home, you own the title and build equity in the property over time. That ownership untethers your investment from the stock market. The single-family properties you own retain an inherent value, and people always need a place to live. Because you are able to select the specific market where you purchase a home, it’s easy to take advantage of regional real estate trends and benefit from home price gains. You also benefit from the ability to finance the house. It’s impossible to buy stocks or shares of a REIT with a loan, but it’s easy to purchase several rental properties with loans. That gives you the freedom to spread your financial risk over several markets, providing even more diversification for your portfolio. Beyond the ability to use leverage to purchase more homes, SFR investments offer several monetary benefits. Generally, the IRS charges taxes on the gains received from a property sale, but a tax rule known as the Section 1031 exchange eliminates those taxes if you use the income to purchase another qualifying property. The 1031 exchange rule, the ability to purchase rental properties with money from a self-directed IRA and the consistent cash income from renters make single-family rentals a particularly wise financial choice. When these benefits are combined with the complete control offered by owning a property, it’s clear that SFRs can be a better way to reap the benefits of real estate than REITs. In the past, it may have been difficult to locate the best rental properties for sale, but HomeUnion® eliminates that issue. Investors who register on HomeUnion®’s site immediately gain access to hundreds of pre-vetted rental properties in the best markets for investing across the country. HomeUnion® offers in-house lending options and provides property and tenant management that makes purchasing a SFR property as easy as investing in a stock.